I adore the movie Finding Nemo. I saw it at the flicks way before the kids were born and then saw it again when we were living in Perth and it was showing for just $2 (we were travelling and broke). On our last holiday, Lil-lil watched and fell in love and then watched it every single day we were away. She loves anything to do with the sea, so Nemo was right up her alley and welcome break from Disney Princesses and Barbie for us. I think the thing that appeals the most is the character Dory. I can see a lot myself in Dory. I'm certain that Skip gets as infuriated at me as Marlin does at Dory. I can often be blindly positive, most of the time I truly believe everything is going to be just fine no matter how dark things are, which drives Skip mad at times. I always think that things will always just work out no matter how bad it seems, they have to. I can be terribly forgetful, especially if it's important. I can also just be plain silly, especially in situations where I'm not supposed to be silly. 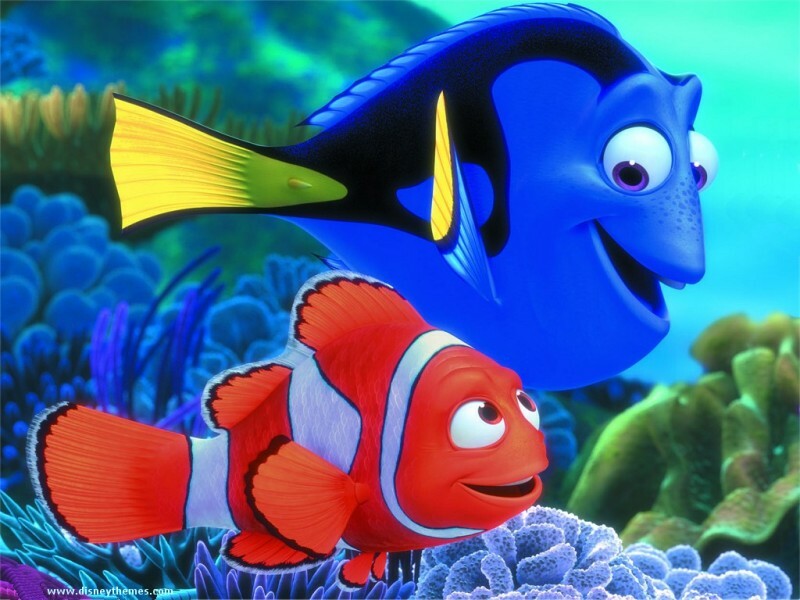 The thing I identify most with Dory is her line: "Just keep swimming, just keep swimming." Cause what else are you going to do? You can't give up, as much as you'd like to sometimes. We just have to keep moving forward as that's what we're made to do. Do you have a film character you identify with? one of my all time favourite kids movies - ever! Love having kids now to watch it with them! We had this film before we had kid too!